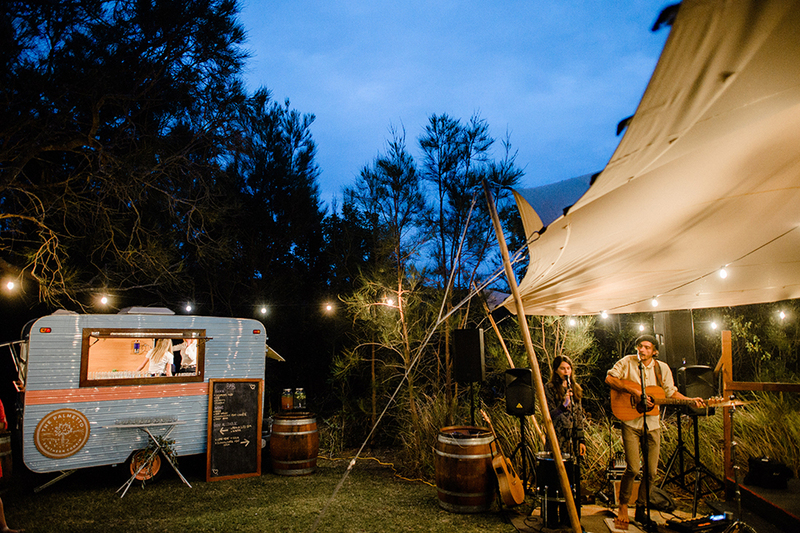 Looking for a food van to cater your event in Coffs Harbour? We’re here to help! We offer our delicious (& crowd-pleasing) Southern cookin’ for catering at any type of event whether it’s your wedding, birthday party, office party or neighbourhood block party! We have to admit, our little caravan is very cute. The beachy colours are perfect for weddings! 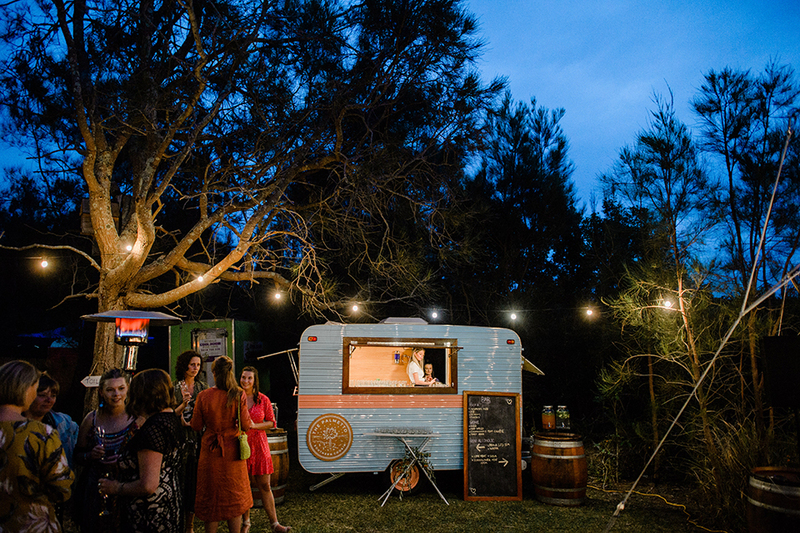 Our food truck will cater your wedding to make sure every guest is more than satisfied. We offer canape service and/or buffet-style wedding catering to Coffs Harbour, Bellingen, Byron Bay, and other surrounding locations. Food Truck Style - The guests pay for their own meals and order from the food truck. This is for smaller or more casual private events. Food Truck Style + Extras - The guests come up and order their meals however it’s all paid for by the organiser on a per person basis. We can also include served canapes in your quoted price. Buffet Style - Get an ultimate BBQ buffet (VG options included) or an ultimate Texmex Fajita bar for your event. We’ll deck it out and make it look awesome. This self-serve style is great for any event. We’ll also have the food truck on site since it looks so awesome! As the owners of multiple businesses, we understand the value of a “Wow!” factor. That’s exactly what we bring to your business workplace or event. Bringing a food truck on site for a day can be a great eye-catcher to draw in new customers or to make your employees happy to have a new lunch option. Having a food truck at your event will make it stand out from the crowd and let people know you are professional yet fun. Food Truck Style - The guests pay for their own meals and order from the food truck. Buffet Style - Get an ultimate BBQ buffet (VG options included) or an ultimate Texmex Fajita bar for your event. We’ll deck it out and make it look awesome. This self-serve style is great for any event. We’ll also have the food truck on site since it looks so awesome! Price is on a per person basis.